The haunted places have always piqued the interest of the people fascinated by the idea of ghost’s existence and those who somewhat believe in ghost stories. There are quite a number of haunted places all over the world that people like to visit and explore. 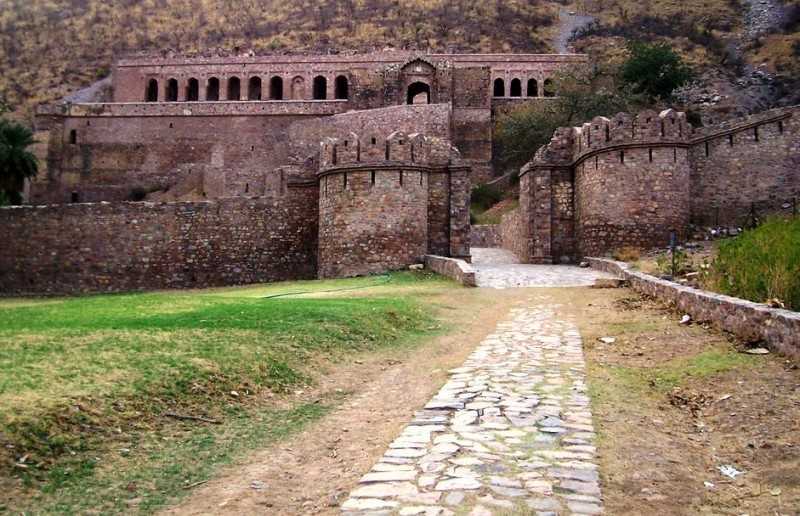 Bhangarh fort in Rajasthan is one of the world’s most haunted places and is THE most haunted place in India. 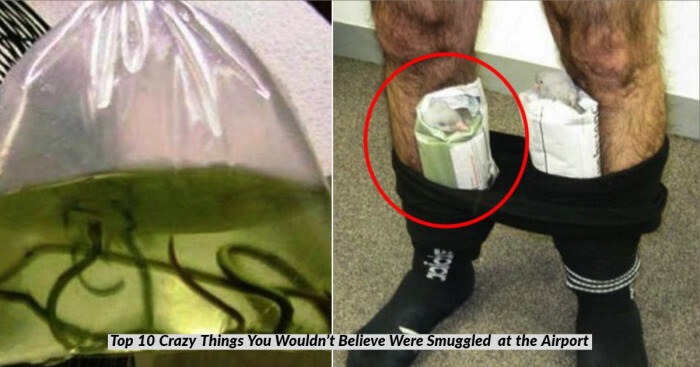 It also has some really interesting facts that you sure don't know. The stories of this place are full of mystery and have been attracting a number of tourists. So here we’re sharing the history, some famous stories, and legends about this most haunted fortress. According to a legend, Guru Balu Nath had cursed the city of Bhangarh. He allowed the town’s construction only on the condition that its shadow will not touch him otherwise, the city shall lose its existence. A prince didn’t pay any heed to his warning and went on to build the palace casting a shadow on Balu Nath’s retreat. Due to this curse, the city was vacated overnight and since then it has been uninhabited. It is said that Balu Nath’s samadhi (burial place) is still there at this place. In the late 16th century, the town of Bhangarh was established for the second son (Madho Singh) of Bhagwant Das, who was the ruler at that time. He was the younger brother of Man Singh I, Emperor Akbar’s general. Chhatr Singh, his heir, was the next ruler of Bhangarh. After Chhatr Singh died in 1630, Bhangarh began to decline into the ruins that are present till now. As the Mughal empire had become weaker after the death of Aurangzeb, Jai Singh II seized Bhangarh in 1720. However, the population of Bhangarh was dwindling and post the famine in 1783, Bhangarh has remained deserted. The Indian government agency Archaeological Survey of India ‘ASI’ has banned the entry of people after sunset and before sunrise because of people witnessing paranormal activities. Another tale about the city has the mention of Princess of Bhangarh, Ratnavati who was regarded as the jewel of Rajasthan. When she came in her youth, she began receiving marriage proposals from princes of different kingdoms. A Tantrik named Singhia who was an expert in black magic fell in love with her. He developed a plan to make the princess attract toward him when he failed to marry her. When Singhia saw the princess’s maid buying oil for her, he enchanted black magic on the oil so that the princess surrenders herself to him. But the princess saw this and poured the oil on the ground. As soon as the oil touched the ground, a boulder emerged from the place and quashed him. In his last breath, he cursed the palace and the ones who lived in it. A year later, a battle took place between Bhangarh and Ajabgarh in which the princess died. Since then, many tales of ghosts have been haunting the place. 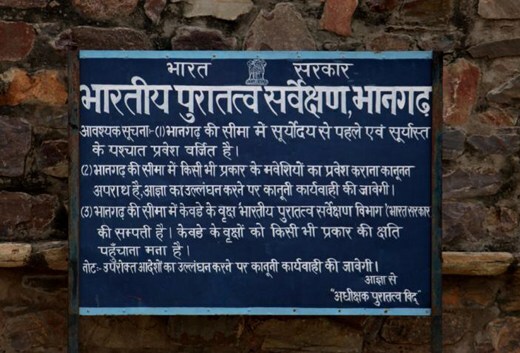 And some even consider it the reason why the government barred all the entry to Bhangarh. The inhabitants believe that the princess has taken rebirth. And the people of Bhangarh empire and fort and the empire await her return to put an end to the curse. 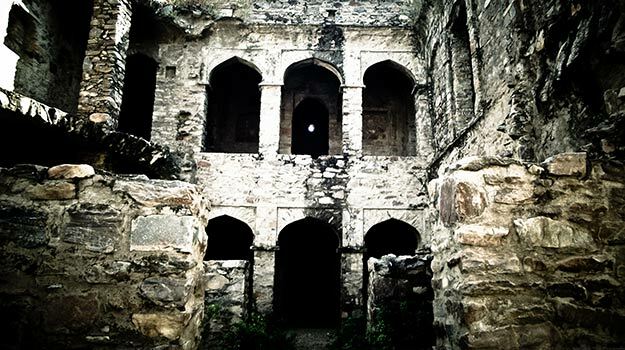 Rocky and Mayur, the hosts of the show ‘India’s Most Haunted’ traveled to Bhangarh for shooting. They shared their experience about the abandoned buildings, the huge mountains, the untidy roads and the terrain which was all so unwelcoming. Their adventure began just after the sunset. 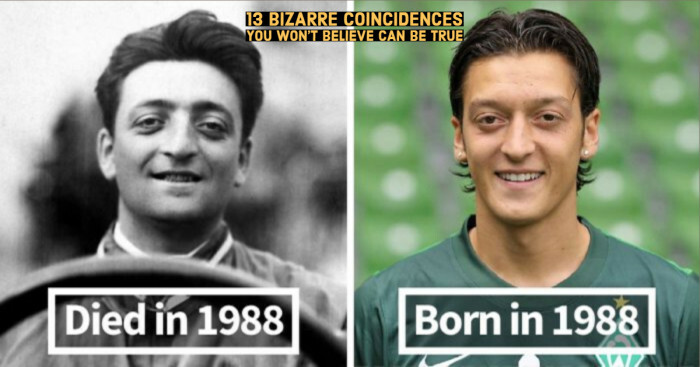 “There are many things which are unexplained. It’s an important part of our culture that our country has these stories. Aimed to provide an opportunity for people to know about such places through an interesting and fascinating subject, the show is an attempt to say that legends are everywhere and there are people who believe in it.” said Rocky. “How beautiful the city must have been in its prime? It's tragic that such a beautiful town has such an image,” he added. “While we were shooting at night in Bhangarh, many times we heard very high pitch screams from the mountains. Once we saw a blurred figure of a woman walking around. Though it was only for a few seconds but we could easily make out that something is there and we cannot deny their existence.” said Mayur.